Anyone living in the 21st century has likely said they just don’t have enough time to do all they want to do. Other variations include wanting to “clone ourselves”, wanting a sister-wife, nanny or an on-call personal assistant. 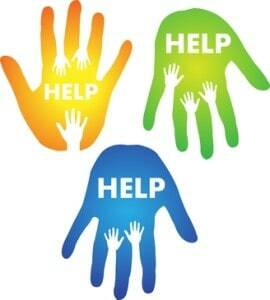 At the end of the day we can all use a set of helping hands (even if we’re not an entrepreneur). Are you not sure what tasks to delegate to a virtual assistant? Fancy Hands can be a good “starter point” for those who are thinking about hiring a virtual assistant because it’s low-risk and you quickly learn when your written instructions are vague and need to be fleshed out more. Fancy Hands is a United States based organization so you will be working with a US based person. You will not have a dedicated virtual assistant but often their team can complete tasks faster than a dedicated virtual assistant possibly could. I was initially a bit reluctant to utilize Fancy Hands because I couldn’t quite figure out what types of tasks I could or even should give them. However, once I did start using them I became more aware of opportunities to delegate. I often joke that I delegate a lot of my “life crap”. “Life crap” is the stuff that needs to be done but we don’t really need to do it ourselves. The list below is broken into three categories (social media, general admin, and research). By no means is this list all-inclusive. Hopefully my lists will spark some ideas on how you can better leverage your time. Don’t give up your sleep to get things done! Sign up with this link and you’ll receive 50% off your first month. What other ideas have come to mind as you were reading this list? Or if you already use Fancy Hands what types of tasks have you assigned and delegated?